of the Risen Christ to all we encounter. and bear witness to the world. Today’s Readings: Acts 10:34a, 37–43; Psalm 118:1–2, 16–17, 22–23; Colossians 3:1–4 or 1 Corinthians 5:6b–8; John 20:1–9 or Luke 24:1–12 or Luke 24:13–35 (afternoon or evening). The Lord is risen! Alleluia! 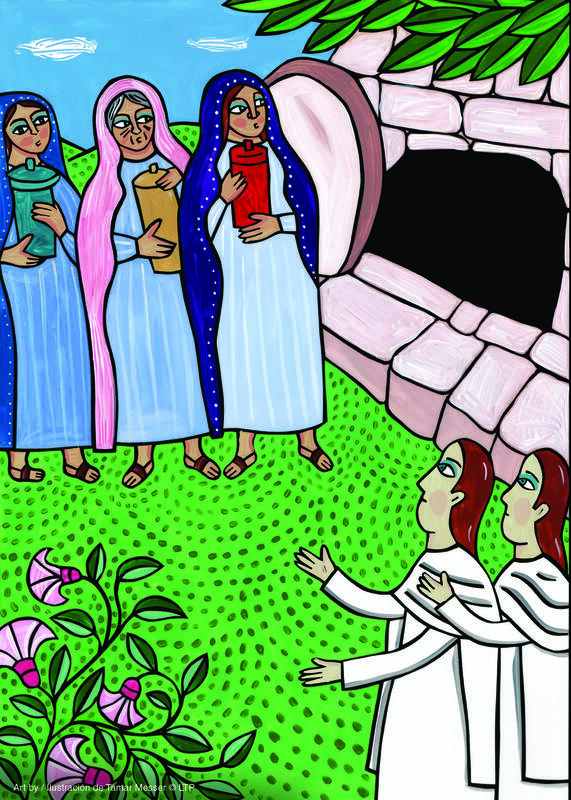 With the women and other disciples, we rejoice at the empty tomb as we enter into the great paschal feast of Easter. In Luke’s account of the Resurrection, the women did not waste time in spreading the Good News after encountering the men in dazzling garments. What could the women have been thinking as they rushed to tell the others of the empty tomb? And what could Peter have thought as he rushed to the tomb? The Gospel notes that the women were terrified upon seeing the men at the tomb but then remembered Jesus’ words. Peter was amazed when he arrived at the tomb. All must have wondered what this meant for them. The discovery of the empty tomb does not offer Jesus’ followers an immediate response of joy. They had to grow in their understanding of the Resurrection. Let us remember that when we find ourselves in moments of fear or confusion, like those who first reached the garden tomb, we can return to the Word of God in the Bible to offer us an understanding of the identity of the Risen Lord and a better understanding of ourselves in relationship with him. At the beginning of the fifty days of Easter is an eight-day celebration called the Octave of Easter. During these days, let the light of Christ shine forth as your family sings “alleluias” at the dinner table or around the prayer table as you celebrate the octave. Today’s Readings: Acts 2:14, 22–32; Psalm 16:1–2, 5, 7–8, 9–10, 11; Matthew 28:8–15. Weeping at the tomb, Mary is so consumed with finding her Lord that she does not realize that she is speaking to angels. Only when Jesus says her name does she realize the man she has questioned is the Lord. The Good Shepherd calls his sheep by name. Christians were called by name on the day of their Baptism, the day they were claimed for Christ. Let us pray this day for all those who are longing to find Christ and to hear their name called by the Lord. Today’s Readings: Acts 2:36–41; Psalm 33:4–5, 18–19, 20, 22; John 20:11–18. “Peace be with you,” Jesus says as he appears to his disciples. Still, they are terrified, afraid they have seen a ghost. In response, Jesus confronts their fears and does a very human thing—he asks for food and eats the fish before them. Where do you find peace in the accounts of Jesus’ Resurrection? Is it comforting to know that Christ ate with those he loved after rising from the dead? Today’s Readings: Acts 3:11–26; Psalm 8:2, 5, 6–7, 8–9; Luke 24:35–48. 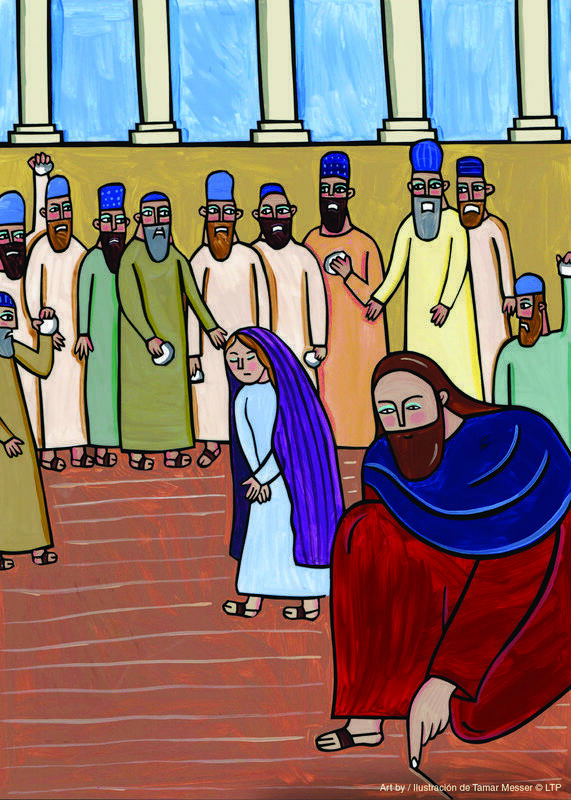 It took three tries for the Apostles to believe the Lord had risen. 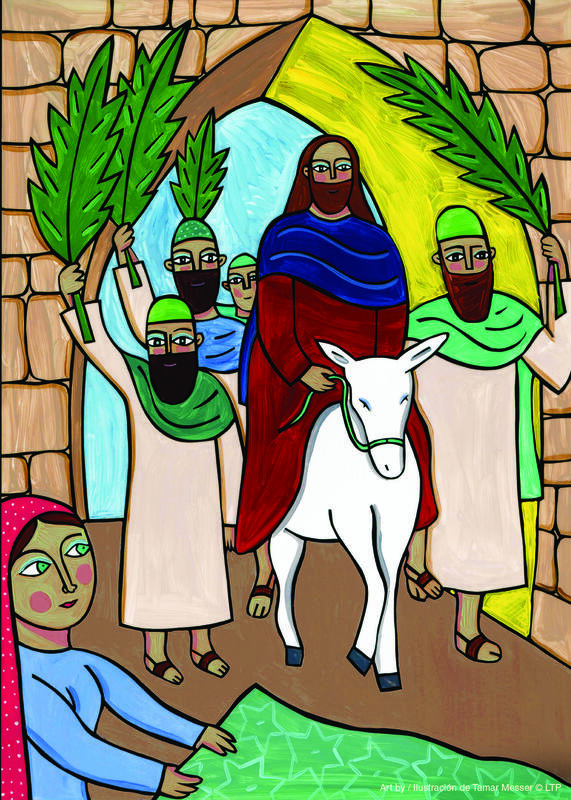 They believed neither when Mary Magdalene told them nor when the two disciples on the way to Emmaus returned with the news. Only when the Lord appeared to them did they believe. Do you believe enough to “Go out into the world and proclaim the Gospel to every creature”? Do you let anyone know of your belief? What holds you back from allowing others to see that you are a Christian? Today’s Readings: Acts 4:13–21; Psalm 118:1, 14–15, 16–18, 19–21; Mark 16:9–15.